A video has appeared on Youtube celebrating 400 years of the Blackheath Gofer (Goffer possibly, but Gofer?). I’m guessing, as the video seems to be full of old men hitting little white balls, that it is actually about Blackheath Golf Club. Anyway, it is a trailer for a 42 minute film to be released soon. Here’s a game for you – watch the video and try to spot one non-white face… Go on, I dare you. More on the dubious beginnings of the club here. Lovely, rather sinister photo of the Bleak Heath by Flickr user Lemon Te. Used by permission. Coincidentally, Southeastern Trains had a sort of open day today, where a number of their senior managers were standing in Charring Cross station, ready to answer questions. So I asked them whether there is any quota that they have to meet in terms of “how squashed are the passengers?”. The answer was revealing. They are allowed a squashed passenger ratio of 135%. So if a carriage has 100 seats, they are allowed 35 passengers standing up. This is only for journeys shorter than 20 minutes. These numbers were off the top of his head, so may not be exact. I also asked about the number of carriages on during rush hour. He said that they had to reduce the numbers during January, to get ready for a big shift on maintenance rotas, which should allow more carriages to be used in future during the busiest periods. Which is good. I heard a rumour ages ago that the train companies have to pay National Rail a fee per carriage, which is why it is in their interests to run the shortest possible trains (within the squashing quota). This is true, and also (he pointed out) makes sense, as more carriages use more electricity and wear the track down more. All in all, I think it is a great idea to have the management standing out there, to at least find out what the passengers leaving the cattle trucks are thinking! I just wish it was a bit less squashed. Blackheath ready to swallow oysters? 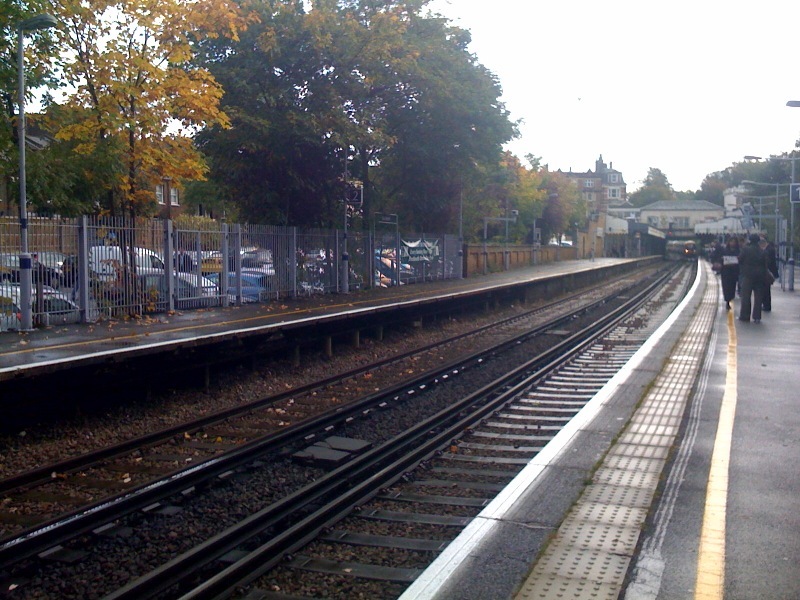 Southeastern trains will be using Oyster Pay-as-you-go within the year, so I thought that people might like to know about a brilliant discount you can get if you have a Railcard. 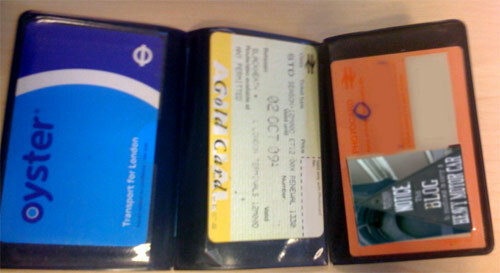 It is little publicised, but you can get Railcards (Young Persons, Senior, Disabled and Forces) added to your Oyster card. This will lower the off peak daily travelcard cap by 34%. So travelling from Blackheath (zone 3) off peak will cost a maximum of £3.80! UPDATE: There is some discussion about whether this is accurate – see the comments below. And ever since losing his £1000 per year railticket and receiving a snotty letter telling him “Don’t do it again”, he’s starting to consider investing in a high quality colour printer and some photoshop skills…. The most stylish and ridiculously brilliant fare-saving tactic, however, is this: do you travel around the country reasonably regularly after 10am but don’t qualify for any discount cards? Wherever you live, march into your nearest station and demand a season ticket for the three-minute journey from Ryde St Johns Road to Ryde Esplanade on the Isle of Wight. This, the cheapest season ticket in the UK, will set you back £116. Buying a season ticket automatically gives you a “Gold Card” – which entitles you to a third off almost all off-peak UK fares. You can also upgrade to first class for £5 return on most of your journeys if you want to give yourself a treat. Photos from flickr user SixyBeast and Vanessa Pike-Russell respectively. The Times had an article about the local church in Blackheath. Which is fine, I guess, although I couldn’t really understand how this was in any way newsworthy… Lots of people find God when they suffer difficulties. It has a photograph of a luminously backlit attractive young lady standing next to a vicar in front of the picturesque All Saints church, and feels as though it could have been written about a major new boutique that was opening up, or perhaps a new theatre. I might stick to confused atheism, but it ain’t half grumpy. God, I wish there was a secular church sometimes. A grown-up’s youth club, for want of a better term. Where people could meet up with their neighbours, and say hello, safe in the knowledge that they probably aren’t axe-murders, because they are “good Christian people”… No, hang on, that needs a bit of work, doesn’t it… Maybe Dawkins should restart his Bright movement as a national youth club for adults. Photo by Flickr user Captainmcdan. Saw this leaflet being handed out at Blackheath station last week. 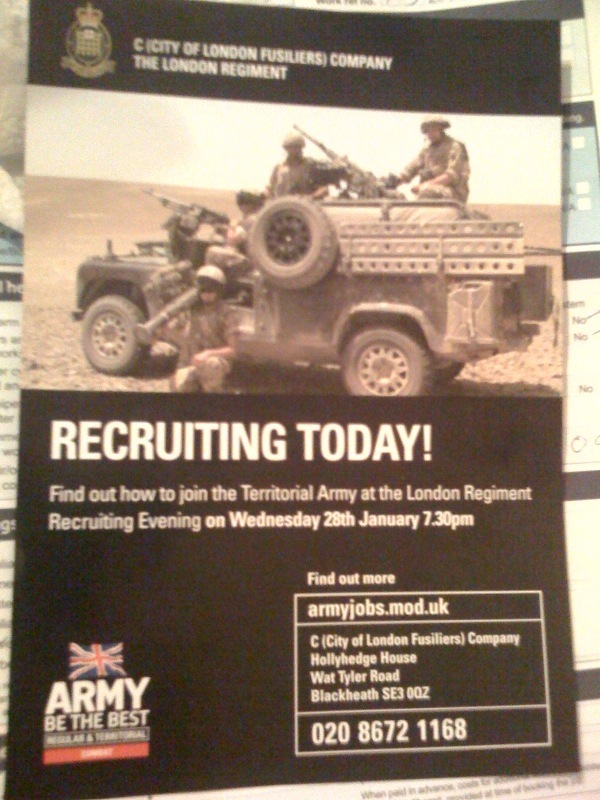 The only time I’ve ever seen people sitting inside that army recruitment office was once – a mother and what looked like her 17 year old son were sitting on the chairs looking out onto the high street… I couldn’t help wondering whether she was signing him up to go and get shot at in Iraq or Afghanistan.